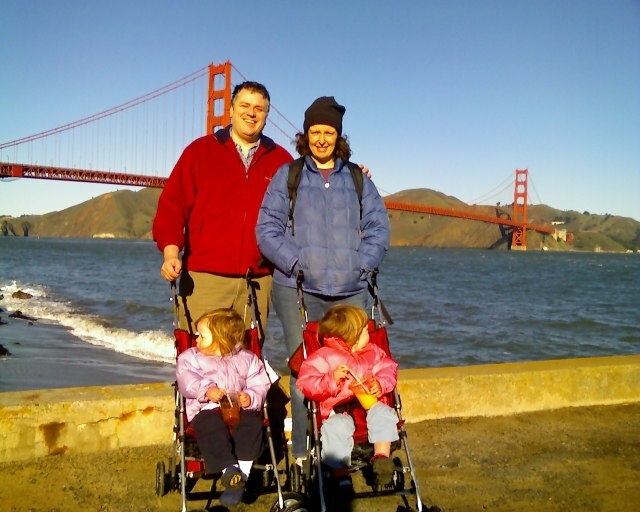 We’ve just come back from a wonderful trip to the Bay Area where we visited with Liz’s family. Tomorrow our Christmas tree comes down (which is a little sad because we really had a good looking tree this year) and it is back to work for me in the morning. Taking six days off in a row has been great. Christmas was great. I’m starting the New Year off with a renewed sense of hope for my church and maybe even a little for the world at large. Hope doesn’t come easy these days, I know, but as Bill Coffin said: “Hope criticizes what is; hopelessness rationalizes it. Hope resists; hopelessness adapts.” The Christmas experience is always one of hope over hopelessness. The birth of Jesus brought renewed hope to the world over 2,000 years ago and remembering that birth opens our hearts to new possibilities again each year. That’s the feeling I want to take away from this Christmas and into 2007: that there are new…hopeful…possibilities.